I seem to be finally emerging into 2016 after semi-hibernating over Christmas and avoiding all the work I'm supposed to be doing, which I can't tell you about yet as it's secret. But I am back in full studio mode now, only procrastinating slightly by updating my website. I do have one new design to show you. 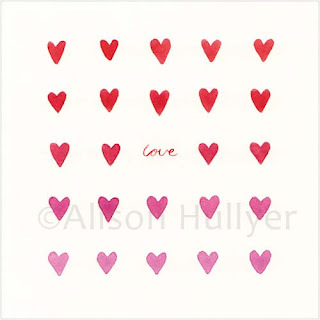 This very simple but effective 'Love' card just published by Phoenix Trading. 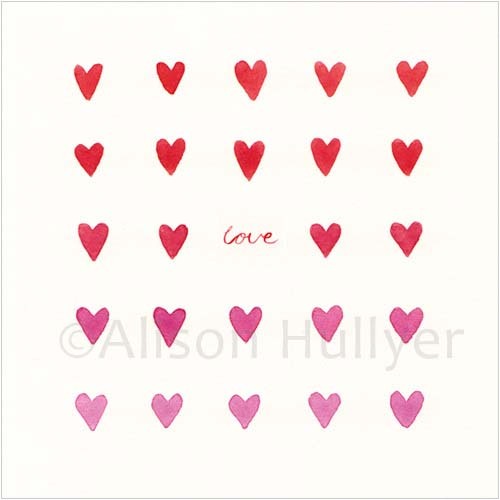 It's embossed on matt textured paper, perfect for wedding, anniversary or Valentine's Day next month.